Experienced driving school located in Glenrothes, Please visit my Facebook page via "contact us"
Are you ready to start your journey towards driving in the UK? It is a large step to start taking driving lessons and can be a long and difficult path for some. So why not make sure you are being taught by a school with the knowledge and experience to give you the best possible chance of getting through and emerging from the other side with your licence? At present my pass rate for the past year is sitting at over 90%, with at least 85% passing first time, which is double the UK average. The School of Motoring is an established and experienced driving school based in Glenrothes and proudly offers a complete learning tuition service in and around the Glenrothes area. With William Wilson School of Motoring you'll learn an essential skill for life in a calm and relaxed learning environment. With a comprehensive range of course options available, I specialise in teaching nervous pupils. 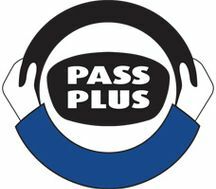 I offer a wide range of driving tuition courses including Pass Plus and refresher courses. I offer a discount for block booking driving lessons. I have a high pass rate at William Wilson School of Motoring, which is a testament to my excellent tuition. Why Choose William Wilson School of Motoring? 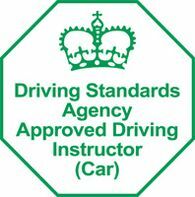 Contact us today to find out more about how you can get your licence with us!